One of the easiest Asian recipes that can be made in a jiffy. 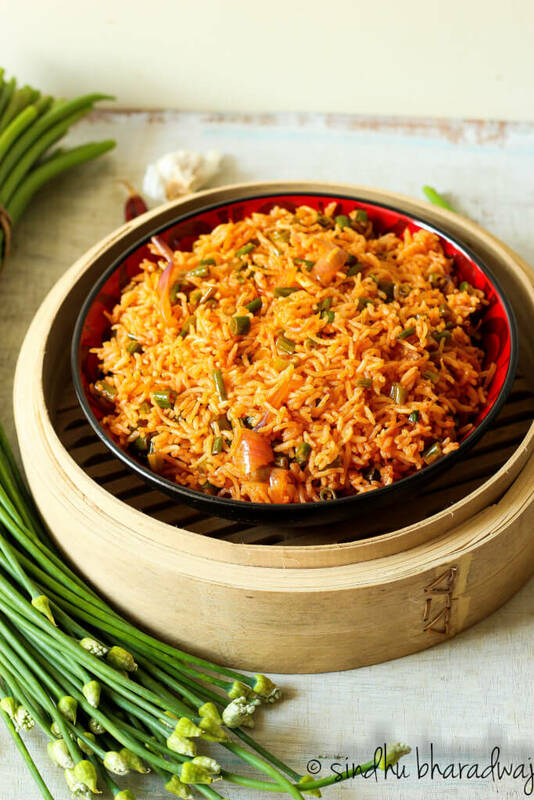 Fiery, Hot and delectable this Chilli Garlic Fried Rice | vegetarian is a great option for main course dinner or lunch and for potlucks too. Indianised to match the spice levels of the Indian palate. 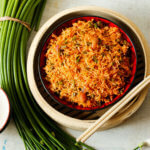 Especially when there’s a nip in the air and you want to make a quick something that lands on your table, this easy Chilli garlic Fried Rice comes to the rescue. 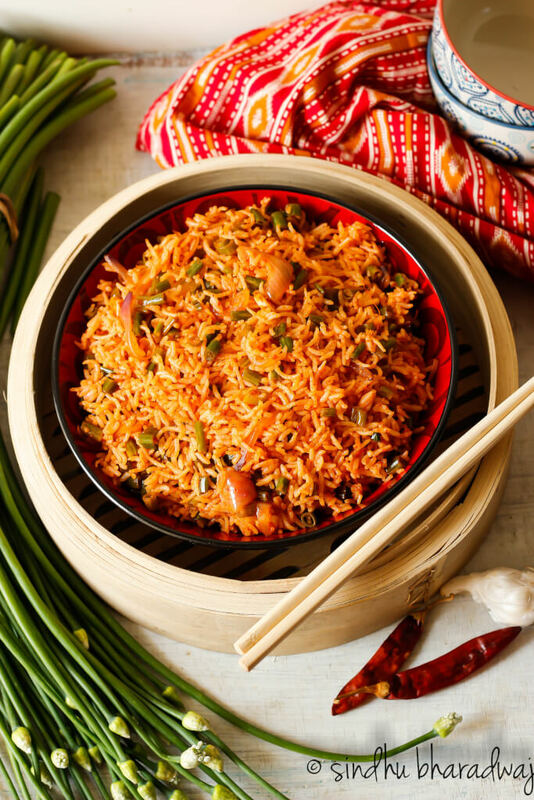 The flavours in this Chilli garlic fried rice are tailor made to suit the Indian palate. 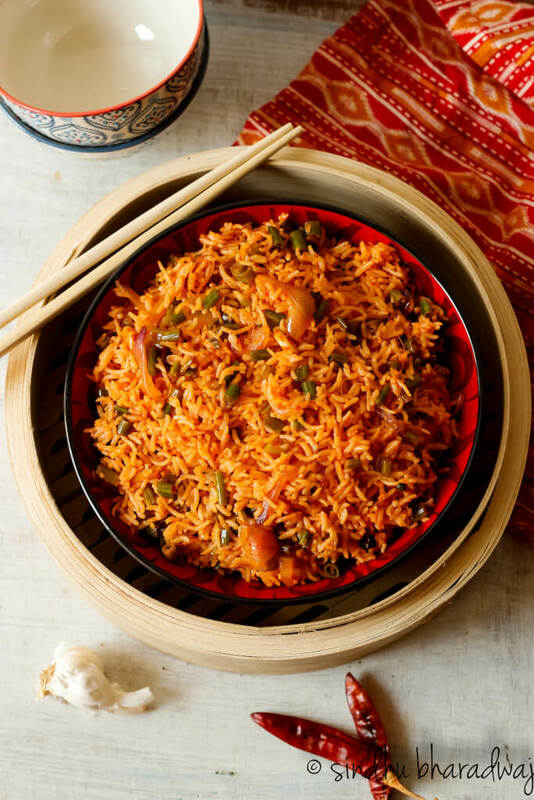 You can also use quinoa or long grained brown rice also to make this delicacy. Did you know? The Indo-Chinese cuisine is known o have originated from Kolkata where the Chinese food is still popular there. 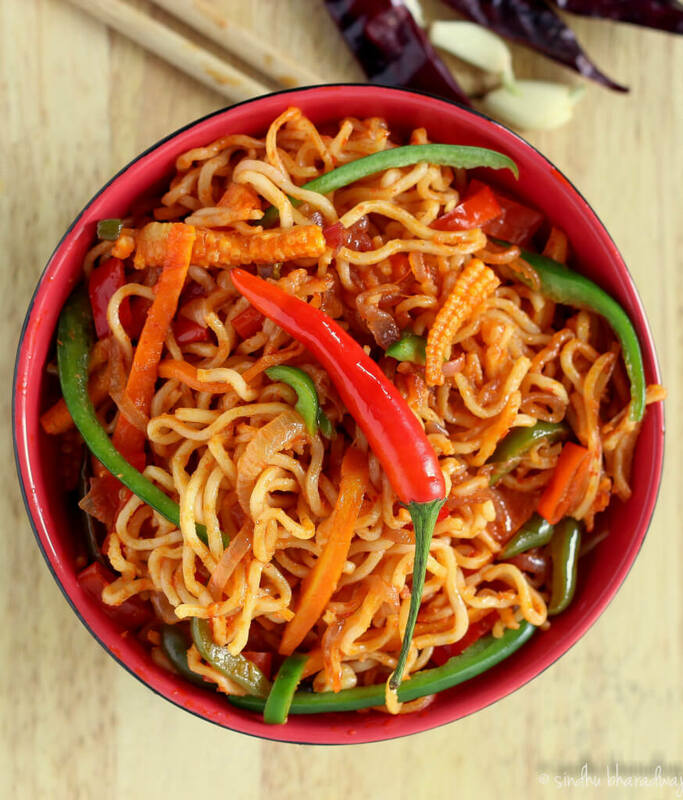 Also known as the “Hakka Chinese” (now you know how the hakka noodles became popular) is believed to have been an adaptation of Chinese seasoning and cooking techniques to Indian tastes. The Desi Chinese cuisine is said to have been developed by the small Chinese community that has lived in Kolkata for over a century. 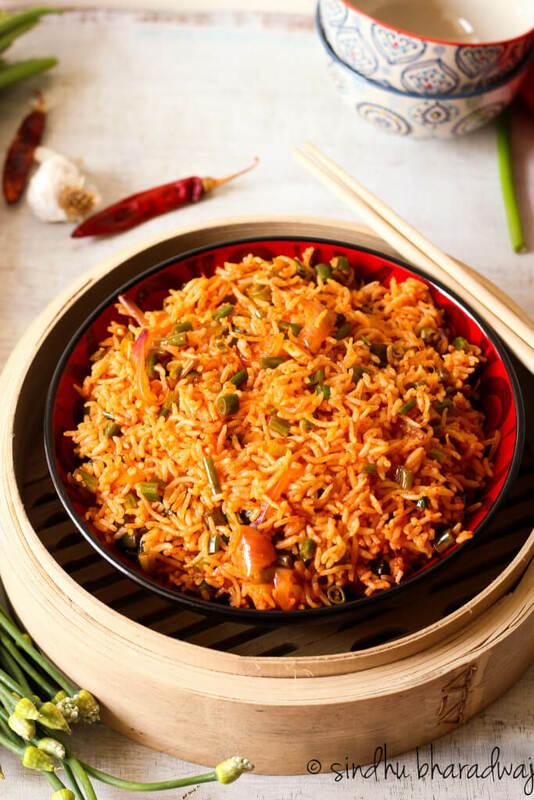 Today, Chinese food is an integral part of the Indian culinary scene. 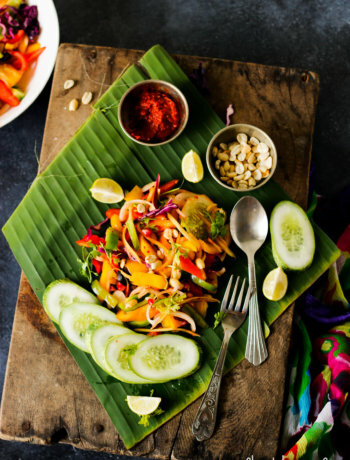 So much has changed in the Oriental food landscape over the past few years that you are now spoilt for choice to choose the best among the humongous world of Southeast Asian Cuisine and Chinese Cuisine in general. that is loaded with vegetables and has that super flavourful lemongrass and coconut flavours ( oh, btw, don’t miss this absolutely gorgeous Lemongrass and coconut ice cream that I bet you’d lick off the bowl). 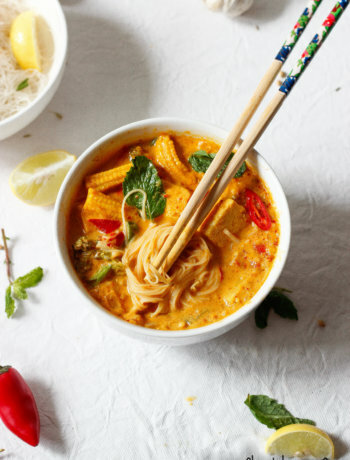 Also, check out more Asian recipes on the blog for inspiration. 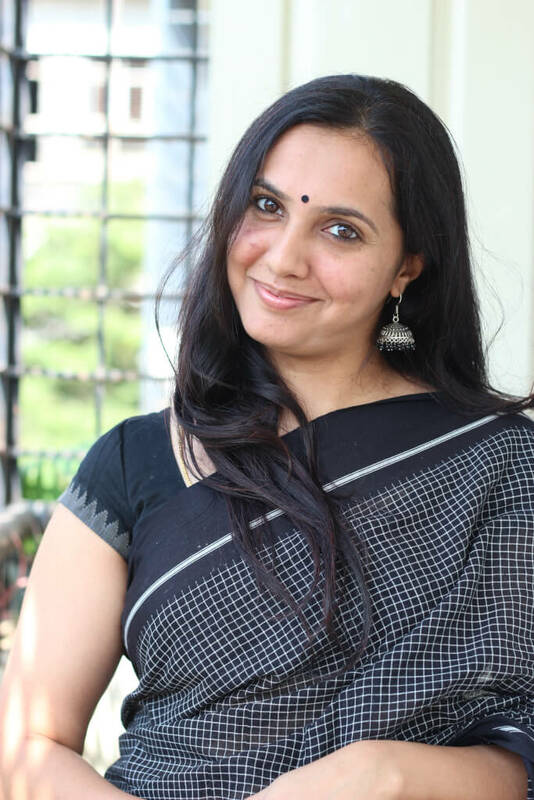 But, down South in Bangalore and most parts of South India, people can never get bored of the Indo Chinese manchurians that hot the sweet spot amongst the masses. The sheer variety is overwhelming and the spices and seasoning used to make these preparations are truly a great fusion of Indian and Chinese flavours that is unparalled in the universe. Follow @slurpyplatter on instagram for more visual potluck. Fiery, hot, full of flavor and a quick one pot meal that requires barely any time, and just a few ingredients. 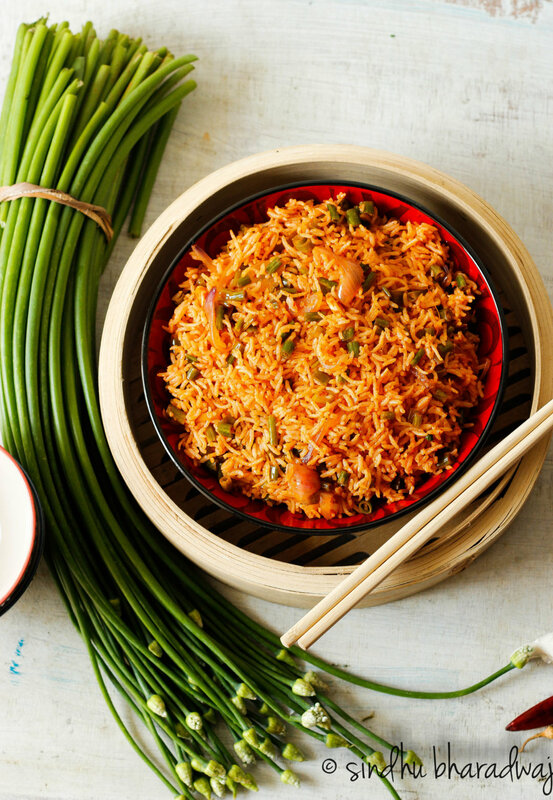 This chilli garlic fried rice is a great option for quick lunches, dinner, or for parties. 1Tbsp Chilli garlic PasteYou can adjust the portion as per your spice preferences. To make the chilli paste, we will first heat the water in a pan until it comes to a rolling boil. Switch off the flame and soak the chillies in it for at least 30 minutes until they're soft. Strain the water and keep it aside. Grind the soaked chillies, garlic and vinegar to a smooth paste. Do not use more than a tbsp of water for this. **Vinegar is added to increase the shelf life to at least a month when refrigerated well** Keep the paste aside. To begin making the chilli garlic fried rice, heat oil in a wide bottomed pan and add the onions, once they turn translucent add the garlic, ginger and fry for a minute. Now add the spring onions and saute for a minute, add in the chilli paste, soy sauce, sugar/jaggery, salt and fry again for 2-3 minutes on medium flame till the oil starts to leave out the pan. Now add the cooked rice and mix well. Sprinkle some spring onions and serve hot.